A visual effect created by double-layering of glazes of different melt fluidity and contrasting colors. 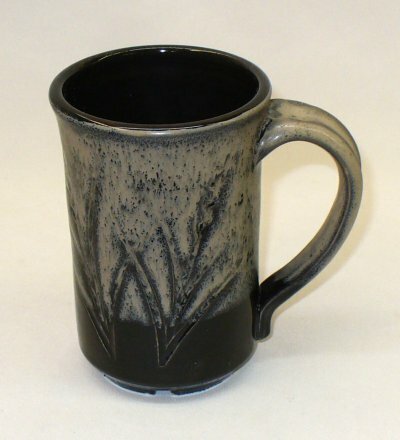 Typically the base glaze is a fluid (melt fluidity) dark color and the over glaze is a lighter matte non-fluid glaze. The under glaze breaks through islands of the upper glaze to create the effect. Vertical and horizontal surface display the effect differently. The relative thickness of the glazes needs to be tuning to optimize the effect. 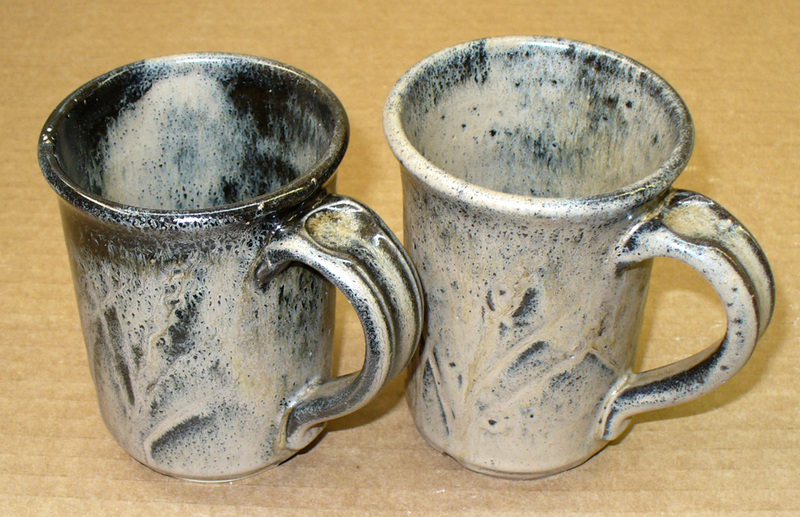 More subtle effects can be created by using glazes of the same color but different surface character. This is Ravenscrag Slip Oatmeal over a 5% Mason 6666 stained glossy clear at cone 6. You have to be careful not to get the overglaze on too thick, I did a complete dip using dipping tongs, maybe 2 seconds. Have to get it thinner so a quick upside-down plunge glazing only the outside is the the best way I think. You may have to use a calcined:raw mix of Ravenscrag for this double layer effect to work without cracking on drying.